An ADC is placed in the Data Center, closer to the Servers. ADC provides a single point of access for the clients that request information. Application Delivery Controller (ADC) is the newer, fancier and more relevant term for Load Balancers. Although people refer to ADC as just a “Marketing Term”, ADCs certainly provide enhanced functionality compared to the Load Balancers of previous generation. Additional features like WAF, DoS prevention are not usually available. 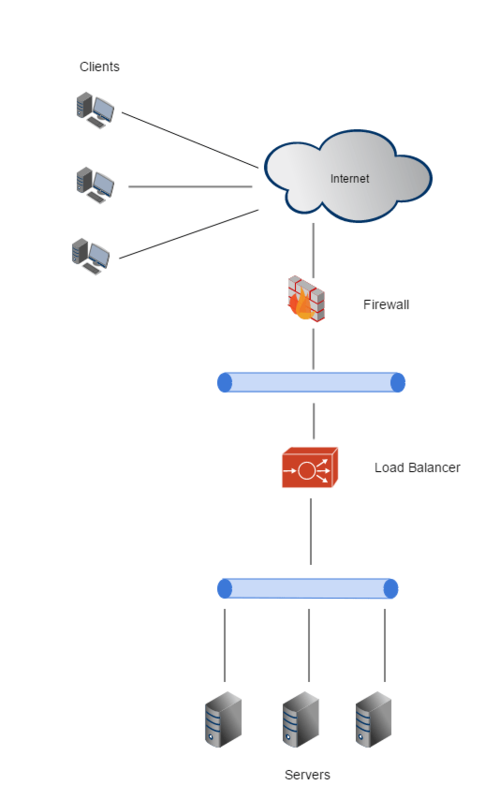 Distribute Load across multiple servers. Load in the context of L7 devices point to TCP Connections and L7 content like HTTP content. They tend to have 2 full TCP stack. One facing the client and another facing the servers. This provides them with the functionality of a full-proxy and enables them to balance application content and not just the L4 connections. Additional features like WAF, DoS prevention are usually available. What is an Application Delivery Controller ?